We know that not everyone in this group reads at the same level, so we’ve included some easier, middle-grades level books. Some are easier versions of the French Classics, and some are new books, but all should give you a better insight into French life and culture. Of course, we recommend the classics, but if they seem a little tough for your reading level, you can find Young Reader editions of Les Miserables, Hunchback, The Three Musketeers, The Man in the Iron Mask, The Count of Monte Cristo, 20,000 Leagues Under the Sea, Around the World in 80 Days, Journey to the Center of the Earth, Cyranno, Phantom, and even A Tale of Two Cities. To see a little bit more about each of these books, check the classics section of this page. If you want something different, here are a few more suggestions. 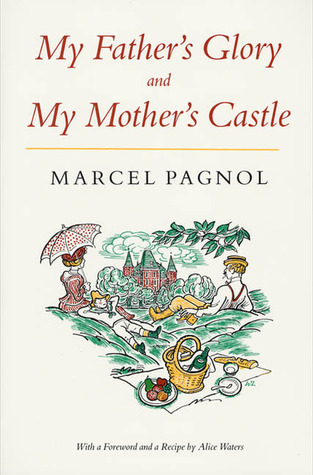 My Father’s Glory & My Mother’s Castle by Marcel Pagnol Pagnol is a popular French filmmaker, and his stories often come back to his childhood growing up in France. My Father’s Glory and My Mother’s Castle is a delightful look at what it’s like to grow up in rural France. Pagnol tells about days spent hunting and fishing, hikes in the countryside, and trips into France’s bigger cities. It’s an energetic and exciting book about childhood. Black Radishes – Susan Lynn Meyer Gustave doesn’t want to move from the exciting city to the boring countryside, far from his cousin Jean-Paul and his best friend, the mischievous Marcel. But he has no choice. It is March of 1940, and Paris is not a safe place for Jews. When Paris is captured by the Nazis, Gustave knows that Marcel, Jean-Paul, and their families must make it out of the occupied zone. And when he learns that his new friend Nicole works for the French Resistance, he comes up with a plan that just might work. But going into Occupied France is a risky thing to do when you are Jewish. And coming back alive? That is nearly impossible. The Bad Queen – Carolyn Meyer From the moment she was betrothed to the dauphin of France at age fourteen, perfection was demanded of Marie-Antoinette. Desperate for affection and subjected to constant scrutiny, this spirited young woman can’t help but want to let loose with elaborate parties, scandalous fashions, and even a forbidden love affair. Meanwhile, the peasants of France are suffering from increasing poverty and becoming outraged. They want to make the queen pay for her reckless extravagance—with her life. The Lacemaker and the Princess – Kimberly Brubaker Isabelle is a young lacemaker, but she also plays at Versailles with the daughter of Marie Antoinette, the princess of Therese. The life of luxury in the palace is quite different from Isabelle’s life. Lavish meals, fine clothes, pony riding, and playing in the gardens – but a big change is coming to France. A superb novel about life at Versailles. The Last Musketeer – Stuart Gibbs A family heirloom transports Greg and his family back in time to 17th century Paris, and the court of Louis XIII. When his parents are sent to the dreaded La Mort prison, Greg teams up with the youthful Musketeers – Aramis, Athos, and Porthos. Action and adventure throughout Paris from the rooftops of Notre Dame to the palace of the Louvre. Song for Eloise – Leigh Sauerwein 12th century. At fifteen, Eloise is married off to an old baron, Robert of Rochefort, and goes to live in a mountain fortress. A dutiful wife, Eloise finds her soul mate in a traveling troubadour. Shimmering narrative, flowing rhythms of medieval life, like a tapestry. Fascinating teen read.